This is an entertaining set of tales about the creation of the world and its eventual destruction and some things that happen in between. The best of the tales are the comedic ones where Loki is both the author of and the solution for some troublesome eventuality. 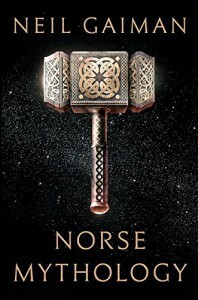 It was good to finally read some of these Norse myths and it makes me keener to read the source material, the prose and poetic Eddas.